My 2 (almost 3!) year old son Tyne is pretty diverse in his appreciation of entertainment these days. He's never been that much of a TV fan, preferring to play with toys and take part in imaginative role playing games instead (which usually involve him being Batman and me being The Joker and me getting repeatedly "Gotten"!) but he has developed a real love of watching and playing with the Ipad in the last year or so. 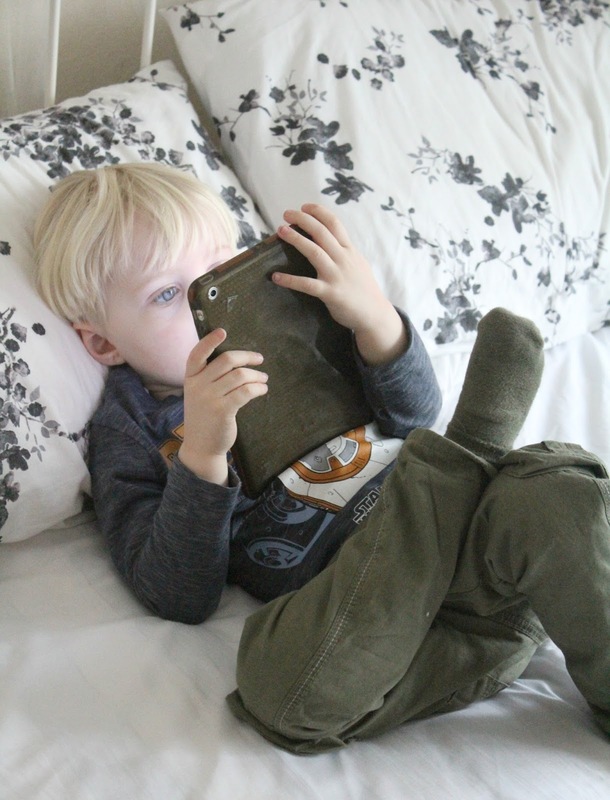 Before I had my own children I was quite critical of children being allowed to use tablets and mobile devices but since having my own I've come to realise that it's actually pretty important that kids today become familiar with this sort of technology early on. After all, tablets are now so much a part of our everyday life that they're even used in schools and so children today need to understand the technology and how to use it - just as we encourage children to pick up crayons and paper to take first steps to learning to write, I think it's just as important to encourage them to embrace and understand modern technology too. Tyne is pretty nifty with the ipad these days and I often think he can find his way around it better than I can! And so, as he enjoys using it so much, I'm often on the look out for new apps to introduce him to. As much as he loves to watch YouTube for the egg surprise videos and nursery rhymes, I do like to make sure that he is learning something when he has ipad time too and so if I can find apps that are both fun for him and educational then we're both happy campers. I was recently introduced to a new app called Baby's Brilliant and so far both Tyne and I have really been enjoying it. Unlike many childrens apps which tend to offer only one or two things to do, this is a real cover-all app - it offers nursery rhymes and music with animated videos, read along stories, interactive soundboards which use pictures to help children learn words in 5 different languages (Spanish, German, Chinese, French and Japanese), and educational videos. Tyne himself is a big fan of the music section, and loves the animated nursery rhymes - his favourites are The Good Ship Lollipop and the Alphabet Song - It's Alright To Look Different is another one he really enjoys and I love to watch him taking these fun songs in but knowing he's also taking away an important message too. The read along stories are also lovely and a great way for parent and child to use the app together. Tyne and I love to sit together on the sofa when the babies are napping, snuggle under a blanket and pick a story to enjoy together - Tyne's current favourite is "It's Alright To Be Scared" which is all about a little boy going for a needle at the drs office. Tyne has developed a bit of an obsession with needles since seeing me have them done after Sailor's birth, and he knows that he'll need to have some himself before starting school so he likes to watch this and then chat with me about it afterwards. All of the stories on this app are beautifully illustrated, and they provide a lovely chance for discussion afterwards as your child asks questions about it. Tyne and I often sit and chat together about what we've watched for a good 10 minutes or so which not only provides a great opportunity for learning but is also a lovely bonding experience. Tyne is also in the phase of wanting to know the reason behind everything and so Baby's Brilliant educational videos are ideal for him, as videos such as Where Does Sugar Come From and Where Do Vegetables Come From really pique his interest and he loves to watch them and share his new found knowledge with us later, telling us everything he learned! 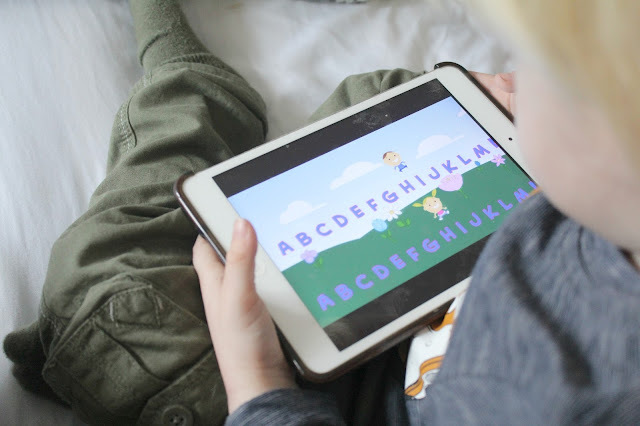 The creative forces behind Baby's Brilliant are passionate about what they do and keen to provide only the very best, high quality educational entertainment for children - the music used on their app is largely recorded with live instruments rather than computer generated music and even the children's voices are their own children. They are a family operated and oriented business, and have committed to donating 10% of their earnings to charity each month. 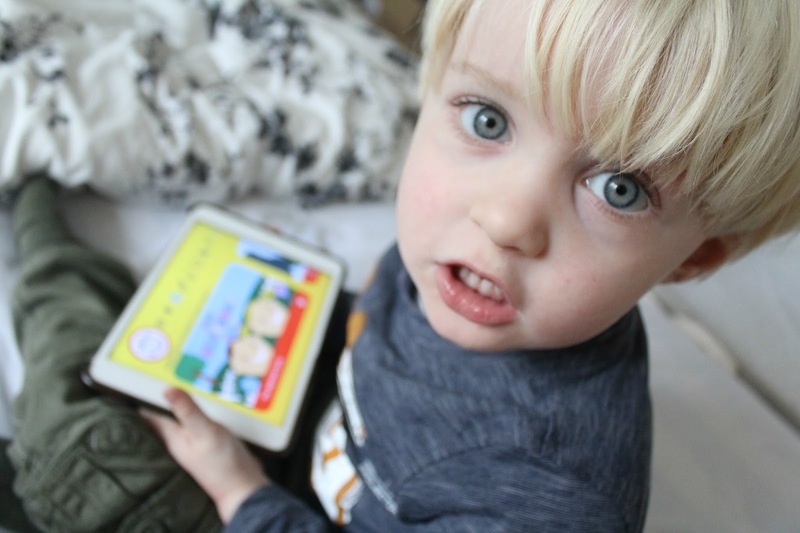 Many childrens authors are also turning to Baby's Brilliant for exposure so it's a great place to access new and exciting reading material for children. Infact childrens author Kerry McQuaide has just reached an agreement to release her fantastic range of childrens stories on the app. There is also a section on sign language for babies, and I love that there is a selection of videos for hearing impaired children too - something I've certainly never come across before. And finally, a feature that has been great for us is the Night Light feature which enables you to create a playlist of soothing lullabies along with an accompanying image to help relax your little one and prepare them for sleep. 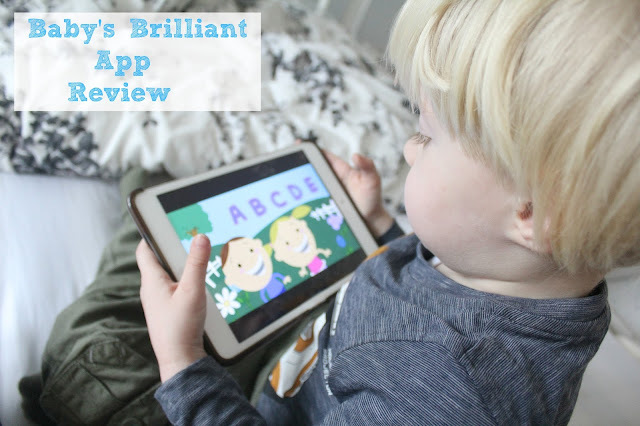 Baby's Brilliant is free to download and comes with free 3 downloads. Additional in-app purchases are priced at $0.99. Find it on the App store here or visit Babysbrilliant.com for more details.